On February 9, 2017, Indiana Governor Eric Holcomb issued an Executive Order for Declaration of Disaster Emergency in East Chicago. The area covered by the disaster emergency consists of 322 acres and is bounded by East Chicago Avenue on the north, East 151st Street on the south, the Indiana Harbor Canal on the west, and Parrish Avenue on the east (map). On March 10, 2017 Governor Holcomb extended his Executive Order for an additional 30 days. As part of the Executive Order, Governor Holcomb ordered the Indiana Housing and Community Development Authority (IHCDA) to develop this web page to provide status updates, progress reports, and other important information from State, Federal and local partners. The West Calumet Housing Complex, located within the affected area, is a public housing complex operated by the East Chicago Housing Authority (ECHA). 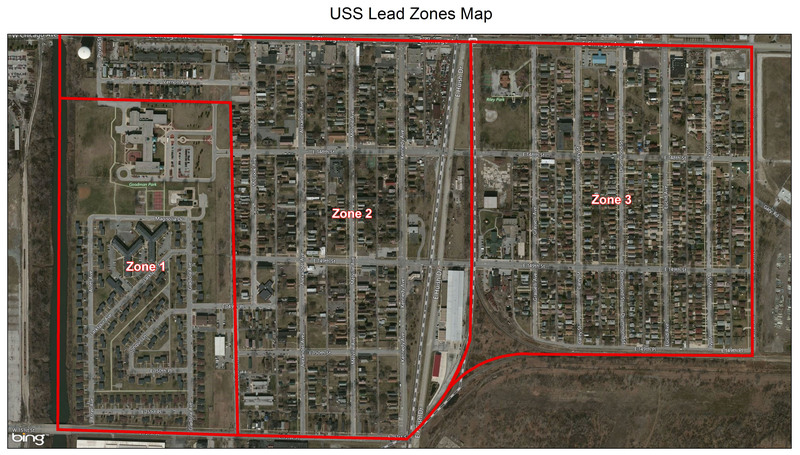 Due to high levels of lead in the soil, it is no longer safe for residents to live in this complex. To ensure coordination of government resources, and the safe relocation of the remaining residents, weekly phone calls involving local, state and federal officials are conducted. Below are local, state and federal officials involved in in the Disaster Emergency in East Chicago. The Division of Family Resources is offering assistance to current West Calumet Housing Complex residents in replacing household necessities that were contaminated. These items include: bedding, furniture, and other household items. Click here to view the flyer. For partners, please e-mail communications@ihcda.in.gov to have updates posted to this webpage. The East Chicago Housing Authority (ECHA) hosted a Landlord Open-House for the Section 8 West Calumet Residents on Saturday, March 18, 2017 at the Community Center (4925 Gladiola Street, East Chicago, Indiana) from 9:00 am - 12:00 pm. The ECHA urges all Section 8 landlords to participate and meet with West Calumet residents and share with them what apartments/houses that are available. Click here to access the flyer for residents. Click here to access the flyer for landlords. Click here to track state legislation. Click here to track federal legislation.